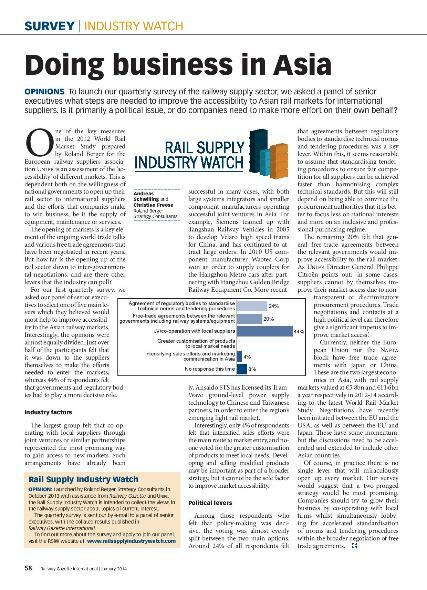 Rail Supply Industry Watch is a collaborative initiative by Roland Berger, Railway Gazette and UNIFE. 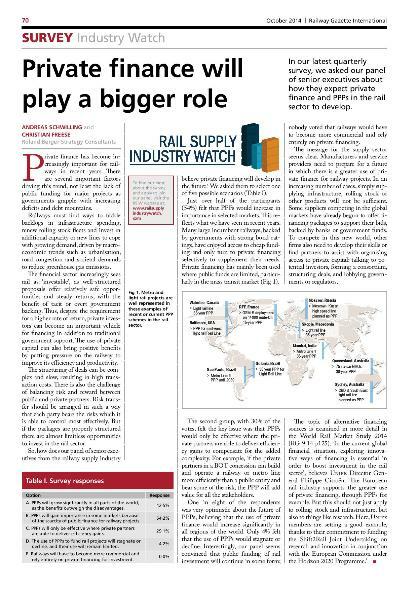 It provides a clear picture of key issues shaping the rail supply industry through the eyes of its top executives. 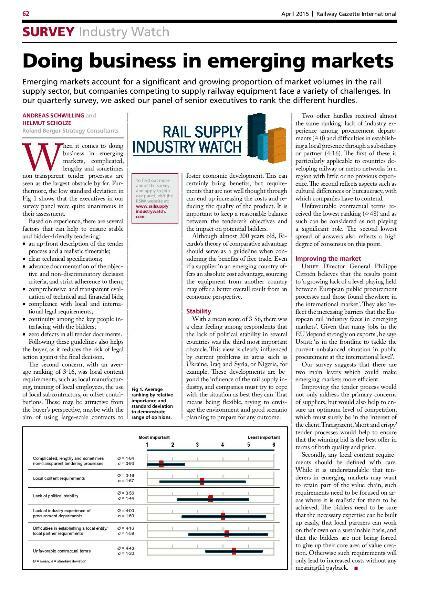 The rail supply industry needs a clear, concise and qualified analysis to manage the challenges of the future. 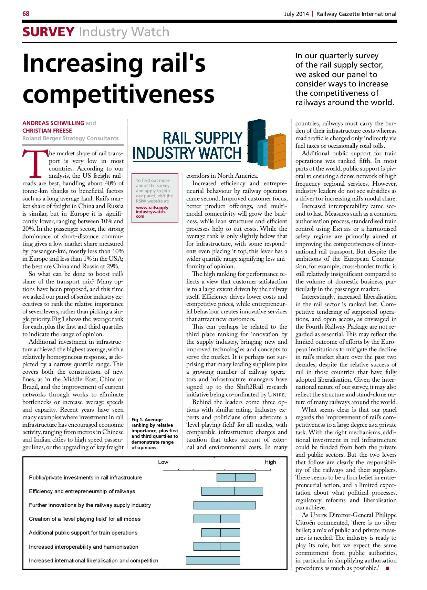 Faced with challenges such as deregulation, government debt, rapid technological development and ever-changing customer requirements, the rail supply industry needs a clear, concise and qualified analysis of the key issues. 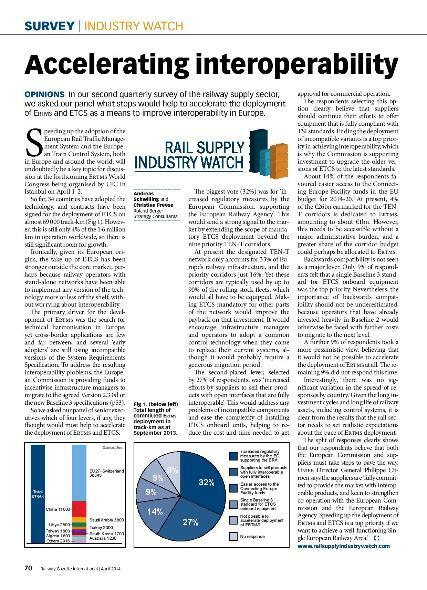 Rail Supply Industry Watch gives industry leaders a forum for providing precisely this type of high-level analysis, thus guiding stakeholders in this challenging business environment. Membership is by invitation only and is limited to top executives of major rail supply companies. 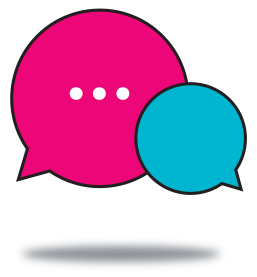 Participating members receive a quarterly e-mail containing one short survey question. The format is optimized for smartphones, making it quick and easy to respond. Once the answers have been sanitized and compiled, they will be analyzed by Roland Berger industry experts. 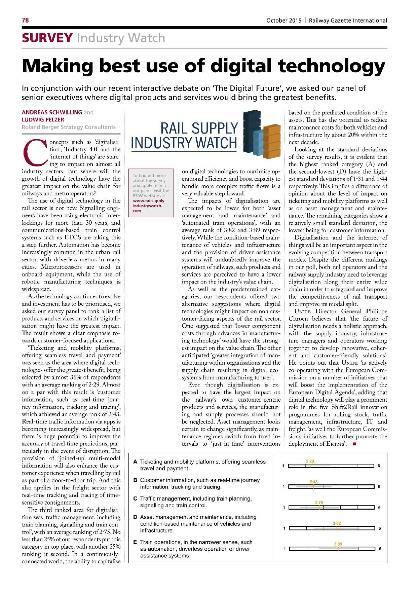 The aggregated results will then be published in the Railway Gazette International as well as the website of Roland Berger. 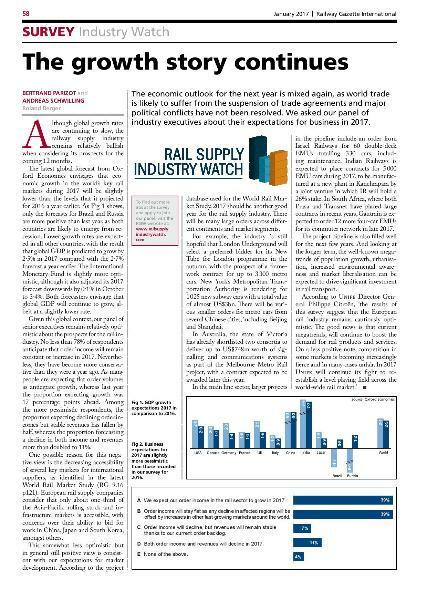 With global economic growth for 2018 projected at 3∙7%, business sentiment in the railway supply industry has become more optimistic, despite political uncertainties in different regions. Despite widespread promotion of the benefits of using life-cycle costs to inform investment decisions over many years, more work is needed by suppliers, operators and independent advisors to emphasize the importance of LCC-oriented procurement strategies. Over the past two decades, the modernisation of railways in Eastern Europe — both infrastructure and rolling stock — has moved more slowly than many stakeholders would like. We asked our expert panel what steps should be taken to facilitate more rapid progress. 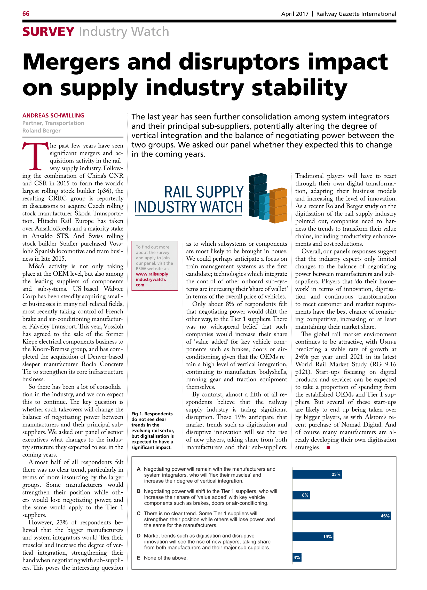 The last year has seen further consolidation among system integrators and their principal sub-suppliers, potentially altering the degree of vertical integration and the balance of negotiating power between the two groups. We asked our panel whether they expected this to change in the coming years. The economic outlook for the next year is mixed again, as world trade is likely to suffer from the suspension of trade agreements and major political conflicts have not been resolved. We asked our panel of industry executives about their expectations for business in 2017. With the rise of non-rail 'electro-mobility' and new approaches to urban transport such as car sharing and taxi apps, light rail and trams are facing increased competition. 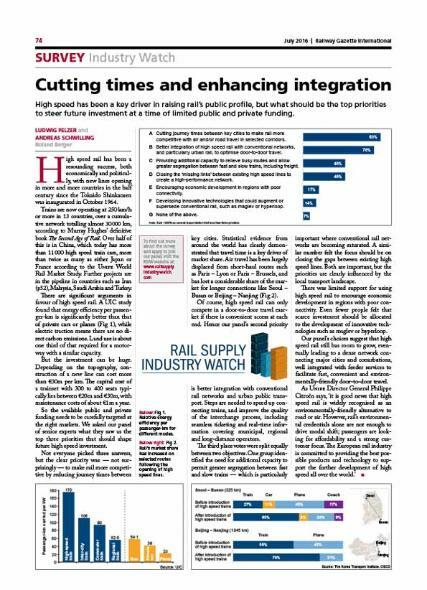 High speed has been a key driver in raising rail’s public profile, but what should be the top priorities to steer future investment at a time of limited public and private funding. 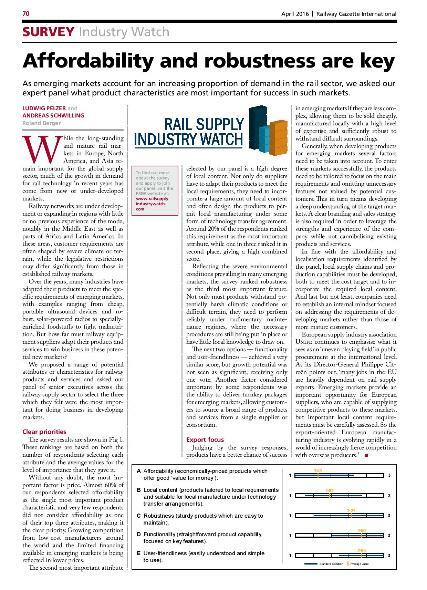 As emerging markets account for an increasing proportion of demand in the rail sector, we asked our expert panel what product characteristics are most important for success in such markets. At a time of contrasting fortunes and mixed prospects, we asked our panel of senior executives about their expectation for business in 2016. 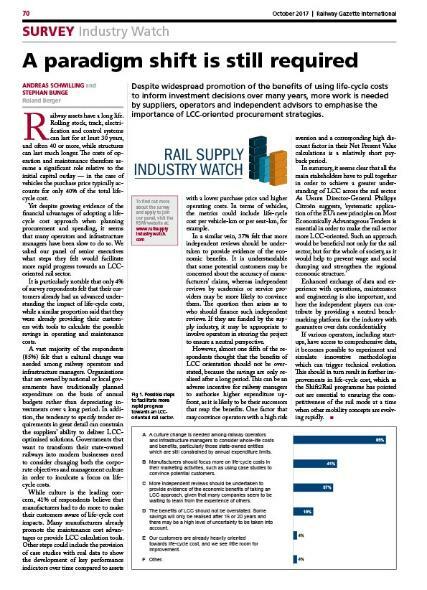 Following the announcement of several significant acquisitions and divestments in the rail supply sector, in our quarterly survey we asked our panel of senior executives how they expect this trend to evolve in the next few years. 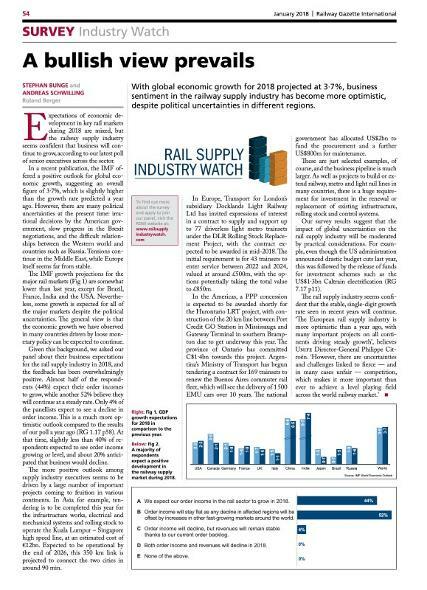 Emerging markets account for a significant and growing proportion of market volumes in the rail supply sector, but companies competing to supply railway equipment face a variety of challenges. In our quarterly survey, we asked our panel of senior executives to rank the different hurdles. 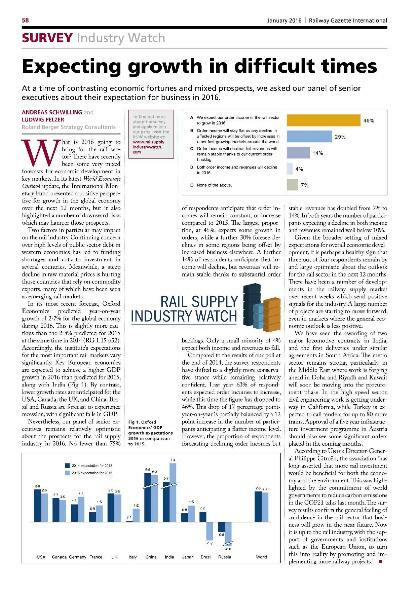 Amid concerns about the economic impact of the conflicts in eastern Ukraine and Iraq as well as the Ebola epidemic in West Africa, we asked our panel of senior executives from the rail supply sector about their business expectations for the coming year. Almost twothirds of the respondents expect to see further growth of order income in 2015, with the economic situation having little or no significant effect. 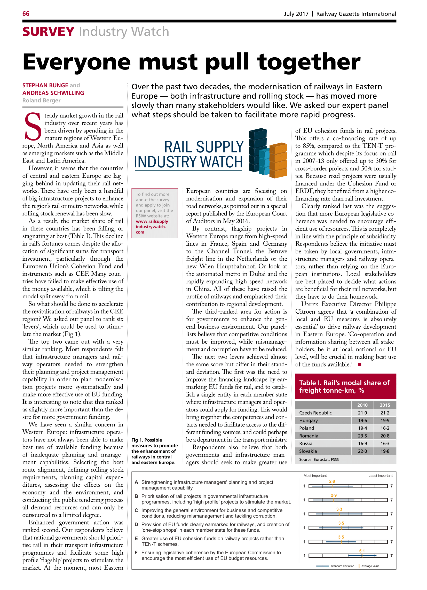 Private finance has become increasingly important for railways in recent years. There are several important factors driving this trend, not least the lack of public funding for major projects as governments grapple with increasing deficits and debt mountains. In our latest quarterly survey, we asked our panel of senior executives about how they expect private finance and PPPs in the rail sector to develop. 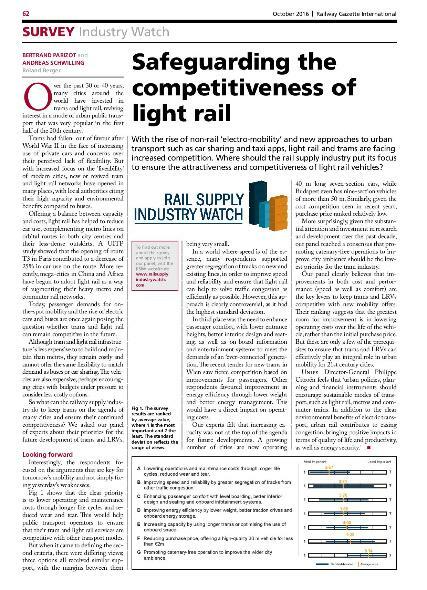 In our third quarterly survey of the rail supply sector in 2014, we asked our panel of senior executives to rank seven levers to increase the competitiveness of railways in relation to other transport modes. 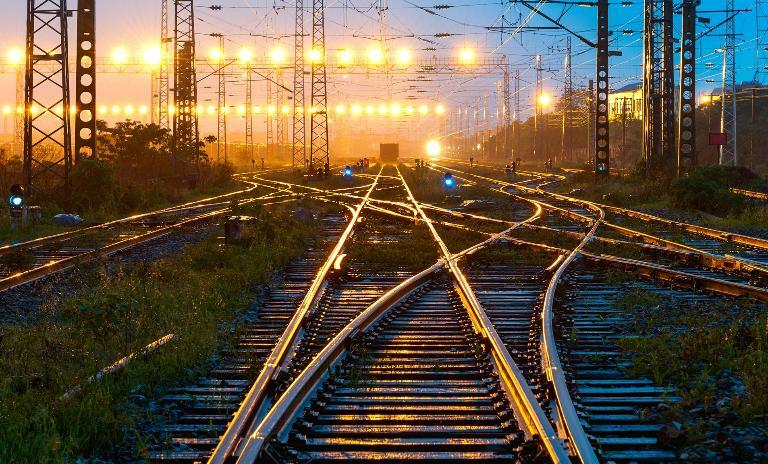 In our second quarterly survey of the railway supply sector, we asked our panel what steps would help to accelerate the deployment of Ertms and ETCS as a means to improve interoperability in Europe. 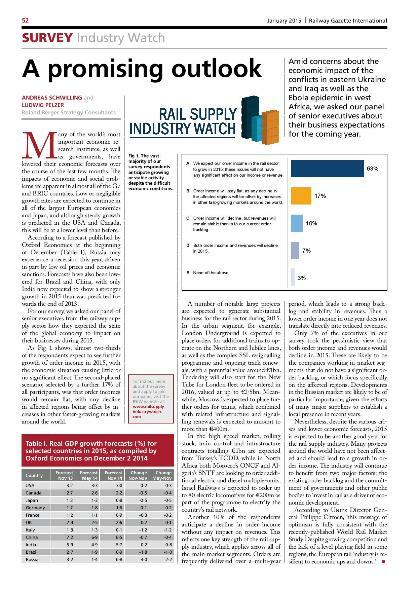 To launch our quarterly survey of the railway supply sector, we asked a panel of senior executives what steps are needed to improve the accessibility to Asian rail markets for international suppliers. Is it primarily a political issue, or do companies need to make more effort on their own behalf? Membership is by invitation only. 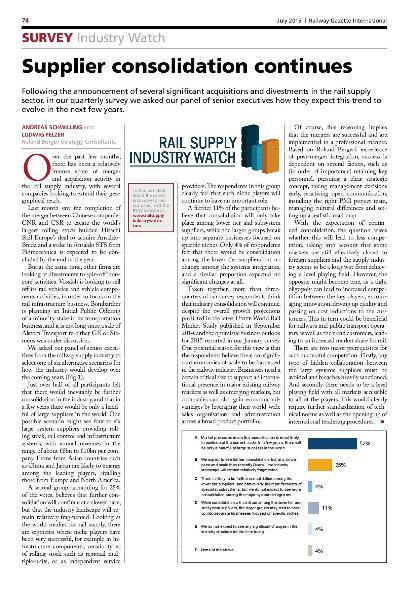 If you want to contribute to the Rail Supply Industry Watch, please get in touch with us using this e-mail .